Changing What's Normal - Ian Berry's Blog: Is it time for a common sense audit? 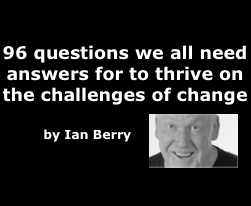 I am often asked what is the biggest challenge facing business owners and leaders wanting to thrive on the challenges of change? My answer is always failing to follow common sense. "Common sense is a basic ability to perceive, understand, and judge things which is shared by nearly all people, and can be reasonably expected of nearly all people without any need for debate." Even after 23 years of working with mavericks who want to step away from the status quo and get things done as simply as possible, I am continually amazed when I begin work with new clients of the failure to follow common sense. I often begin my work by asking employees (before I ask leaders) what's worth celebrating and what could be better? Always issues are raised and the employees have simple solutions to what is stopping them from performing at their best, and yet policies, procedures and practices are making it difficult for people to do what they know they should and usually want to do. Is it time for a common sense audit at your place? Are people sending emails rather than walking down the corridor or picking up the telephone and solving issues with people in person? 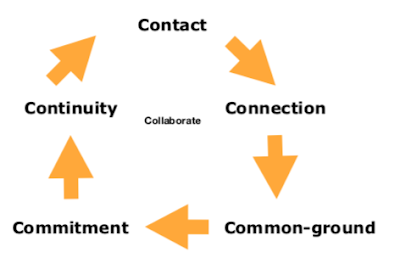 Can employees solve problems with customers/clients on the spot or do they have to refer matters to someone else? Do policies, procedures, and practices reflect common sense and do they mean that it is simple for people to bring their best to their work? how you will know you are on track (milestones and lead measures)? how you will behave along the way (values)? You might be interested in the 96 questions I ask when I do a remarkability review for organisations. You can download them simply by subscribing to my No BS Mentoring newsletter here. Heeding the following advice is also wise.